The Color Force II 12" is over 50% brighter than it's predecessor while utilizing a single source of light. 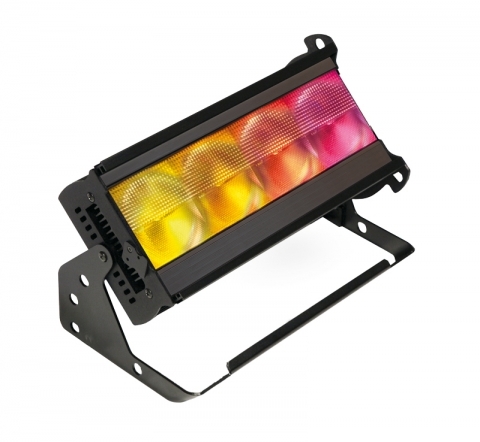 The Color Force II fixtures' output is a single, clean and pure beam of light, delivering a superior color blend with no unsightly color-mixing shadows. The homogenized optics and improved Chroma-Q technology provide even higher quality saturates and pastels, and a purer white - all from a single source. The fixture also features theatrical grade dimming, color consistency between fixtures, RDM, and independently controllable cells every 3 inches.